On Aug. 10, these attributes were epitomized and celebrated by a group of students gathered at DeKalb County School District’s (DCSD) central office. 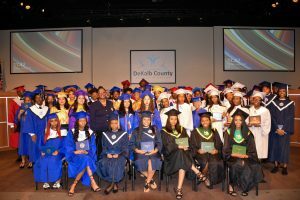 DCSD hosted its 2018 Summer Graduation Ceremony, welcoming students from throughout DeKalb County. Students, teachers, families and staff gathered at the Robert R. Freeman Administrative & Instructional Complex auditorium to celebrate commencement. Students were advised to remember their support system through a symbolic act at the beginning of the ceremony. The entire class of 2018 stood, turned toward their families, and announced a resounding “thank you,” to attending family members. 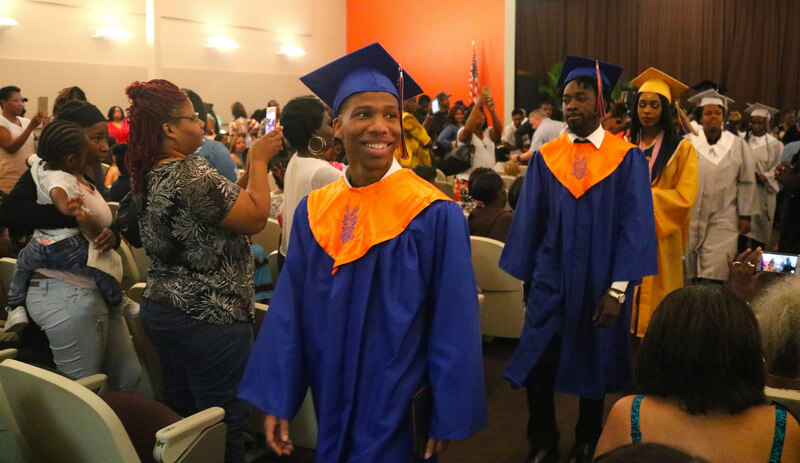 “Don’t forget, as you cross other milestones along the way, that you can never be too proud to turn around and say, ‘thank you,’” said Superintendent/CEO Dr. R. Stephen Green. Green also advised students to remember this point in their lives as a time they chose to overcome obstacles not faced by the traditional high school student; set aside setbacks that stood in their paths of success; and meet any challenge presented to them. Students who graduated in the Summer of 2018 will be afforded the same opportunities as their fellow students who graduated in May 2018. Though the size of the graduating class may differ, the size of the next step in their lives remains the same. Malathip also offered students advice on the next phase of their lives, including information on higher education, entering the workforce, and joining a branch of the military. 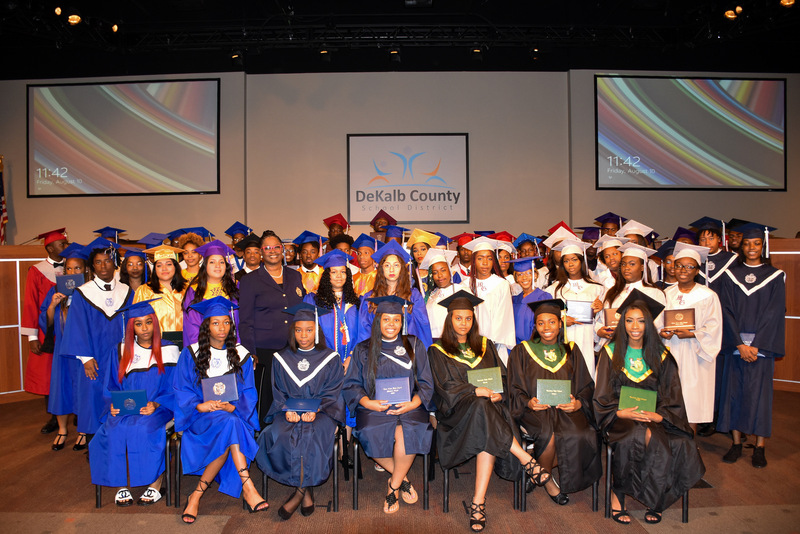 DeKalb County Board of Education member Vickie Turner said the day marked not the end of each student’s high school career, but the beginning of their life-changing successes. After students obtained their diplomas, Chief Academic Officer Stacy Stepney closed the ceremony by saluting the graduating class and leading students through the final act of graduation: moving their mortarboard’s tassel from the right to the left.